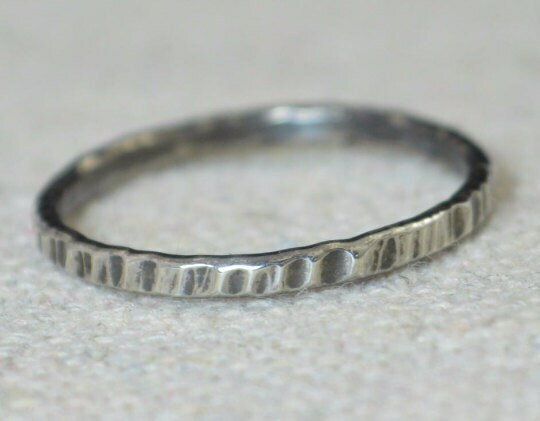 These rings are simple but substantial heirloom quality bands. - Delicate hand hammered texture. 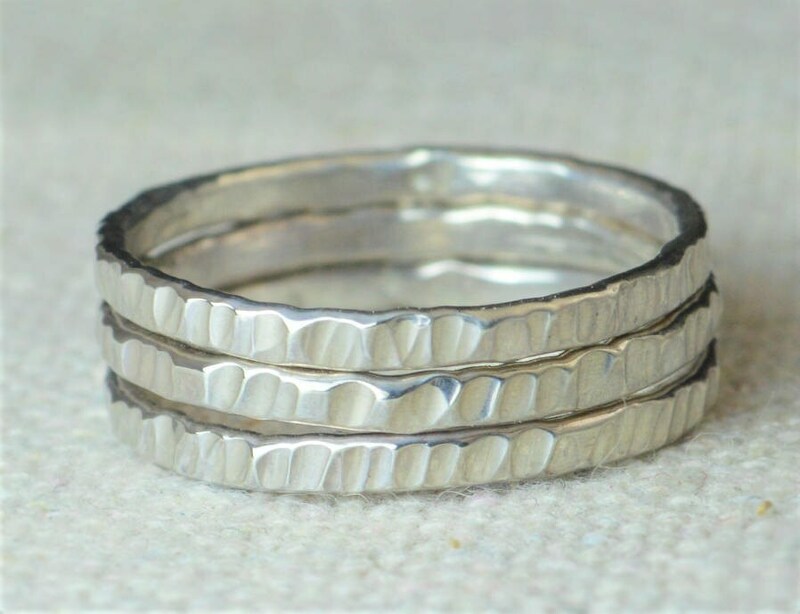 • Each ring is about 1.8mm wide and 1.3mm thick. • They weigh about 1 gram each. 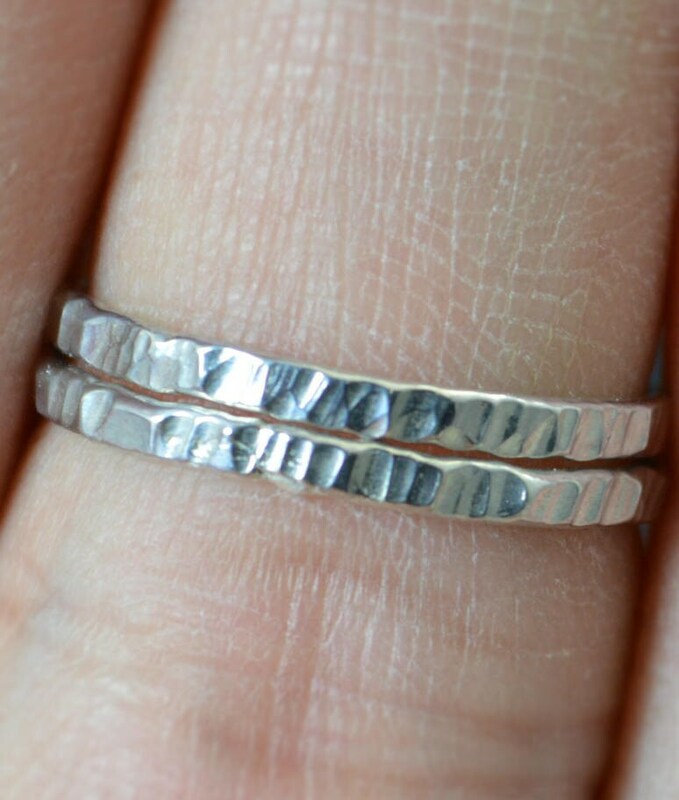 Love this ring, beautiful! Thank you. I love the way this looks. It arrived on time and is a gift.